On her third album, The Heart Speaks In Whispers, the singer shares a vibrant testimony of survival and joy. 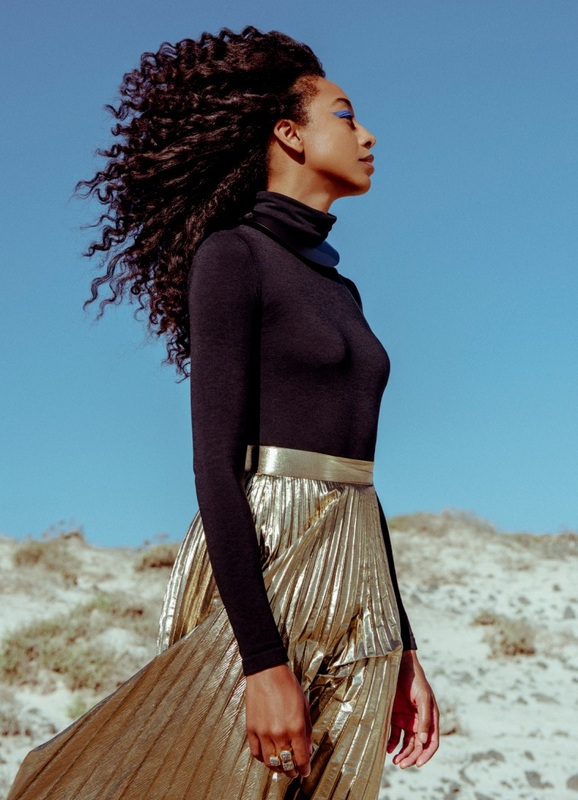 After a transformative period of healing, Corinne Bailey Rae is back with her new album The Heart Speaks In Whispers, an ode to the power of the universe. 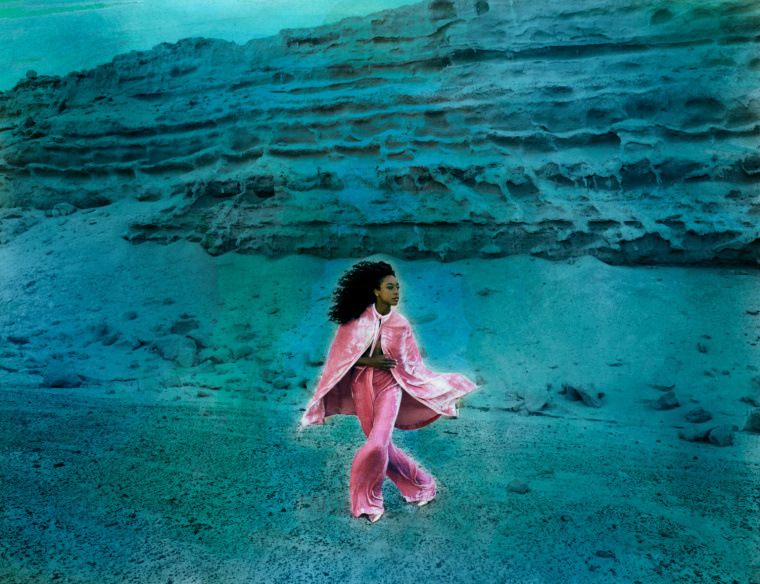 After the death of her husband, saxophonist Jason Rae, in 2008, and the release of her last album, The Sea in 2010, Rae has gained some new perspective about her path as a cosmic being and what it means to really listen to the messages from her heart. Rae has spent time with herself—drawing inspiration from natural disasters and nature. Most notably, she's embraced the stillness that surrounds that type of peace, as she explained over the phone a few weeks ago. 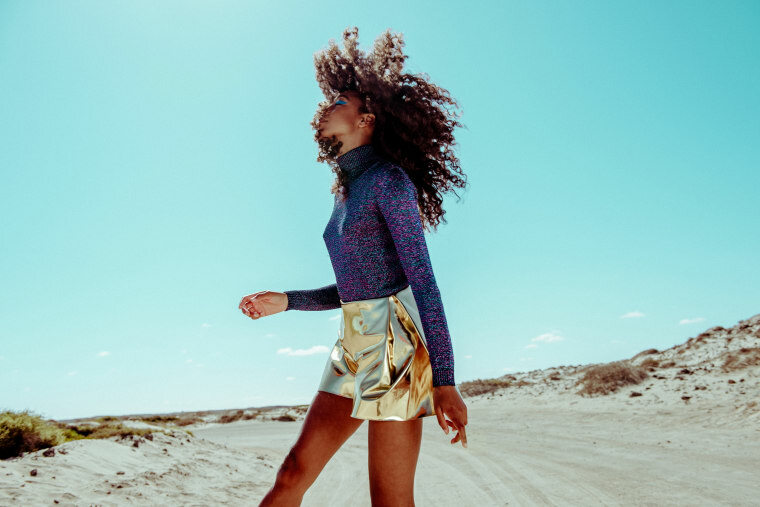 The FADER spoke to Corinne Bailey Rae about what she's learned through her conversations with nature, the importance of living in the presence, and how she was able to find true love again. When you began recording this album, what type of place were you in? 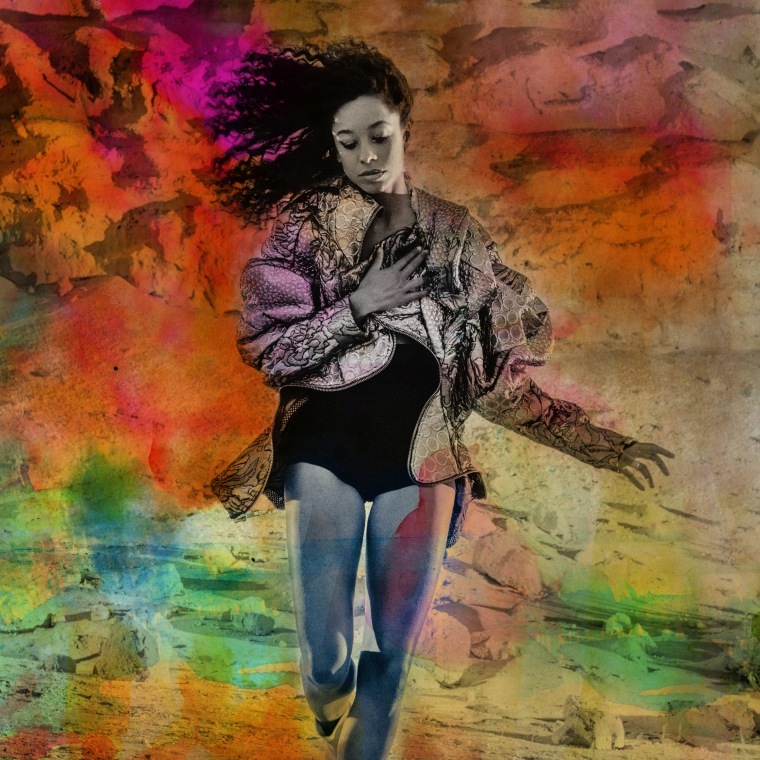 CORINNE BAILEY RAE: While recording this, I feel like I was just learning loads—learning loads about myself. When I was making the album, I didn’t know how it was going to be. I didn’t know how it was going to sound. I didn’t know what the songs were going to be like. Different images kept popping up, from dark to light, from bitterness to sweetness. I felt like I was writing a lot about nature and how that reminds us of the stories that nature tells. I felt I was reconnecting with my body after a long time of living in my head and I felt like I was more present after a long time of just living in the future. Before I was thinking, "I’ll be happy when this happens," instead of, "Here it is. It’s the present." You sound so rejuvenated on this album. How’d you get here from where you during the rough time when you finished recording the second half of The Sea? I was moved by small things that were just around me in culture and sensual things like wood smoke, long hair, and nature—things that would outlive me. The solidness of Nina Simone’s talent and the prophecy of her voice. People who were really uncompromising and said uncomfortable things. It’s a rawness that I felt in life and experienced in other people’s art that I essentially spent time around. Being out in nature and looking out in the sky—all of these things were working me up and making me feel like I could live and pushing me on. For this record, it was all magical lush things like getting to go to Brazil for the first time and being in a tropical environment and being around loads of other black people. So just being the ethnic majority in a place made me feel very right. If you’re somewhere where you’re the minority ethnic group, you don’t realize how it’s tapping away at your head all the time. To be somewhere like that was incredible, to meet new friends like Paris and Amber Strother from KING, getting to be in Los Angeles, swimming in the sea, and trying to surf. All of these things set in the record. You’re always able to illustrate concepts so beautifully and with such a tenderness. What’s your songwriting process like? It’s been really interesting. I’ve tried to get into sort of quietness and stillness. I’d sit at the piano and play something or strum my guitar in a repetitive way. I’m trying to sort of open my mouth and see what comes out. A lot of these songs, I wasn’t thinking, “I want to write a love song.” I really have been thinking what I am feeling, thinking. I think I’ve been using the songs to open up myself and work out what I’ve been working on in my inner life. It’s been a really interesting process. At the start of “Caramel,” I say, “It isn’t love but pain that makes you brave.” That line just sort of popped through. Somewhere in me I was feeling that. “Walk On,” was the same way. The whole song just came out of the fully formed with melodies. It’s a quite simple song but the cosmic stuff about, The stars and constellations know your name that all just sort of came out. I had to listen back to my phone to see, what did I say? What did I do? I had to learn it for the recording. It’s been quite a magical process writing these songs and getting to work with people like Paris Strother and Valerie Simpson. That’s been magical as well to see what comes through when you work with someone you’re comfortable around. You continuously reference sea and the stars. What is your connection to those elements? These things in nature talk to us. A volcano is a force of massive destruction and obviously, they can ruin people’s lives and they can kill people and fill the atmosphere with these black clouds and they force what’s on the bottom of the sea to the surface. But because of all that lava that scours down the hillside, it leaves behind the most fertile soil on the planet—it’s really rich. Then, in a short amount of time this green and vitality and new life. I was coming out of a time that was a destructive time in my life but the new in my life was a symbol of hope. There’s a vibrancy that’s just not far away. Nature to me is full of lessons and about the cycle of life. We don’t expect for things to be sunny all the time. On Instagram, maybe it is always sort of perfect but, real life it’s full of these lulls and quietness. Life experiences were being affirmed that things were normal by nature. I love how nature makes you feel out of control when you’re like on a wild hill walking and you can’t walk straight because the wind is pushing you and you can’t stay dry when the it’s raining. I love that. It makes you feel really alive. “Taken By Dreams” is one of my favorite songs. There are so many things to gather about the songs message. What did you see for the song when you were writing it? My dreams became really vivid after I lost Jay. It was a way for me to speak to him, get to see him and get to hang out with him. But it’s also a way of my brain explaining to me what happened and processing the shock of it. I guess as time went on, my dreams really became something that gave me a lot of hope. "Taken By Dreams" is the next extension of that. It’s not just about surviving and hope, but it’s the limitless of what we can experience and what we can know. We are cosmic and linked to stars. Loads of the writing came out naturally. At the start it’s two lovers and they're on a journey. It’s that thing where it’s you two on this trail and you don’t know where it’s going to end, but you’re traveling together. Then, there’s a personal sense of, I’m like a laser beam cutting through everything/ I’m in my fantasy I can do anything/ Taken by dreams. In your dreams and sort of subconscious life, you can be empowered to believe in yourself and your potential through a growing confidence and boldness. That's that self-affirmation and then towards the end of the song it’s about death. After all of this that’s done, there’s something else that remains and our energy is going to be transformed into something else. I love this idea of us being “tiny stars across the universe, trembling saying amen.” Saying thank you. The fact that we have a life at all, is so amazing. I really feel like I’m at a point to appreciate every day and every moment but I feel really enlivened and empowered. Music has been this life force for me and taken me from survival into joy and a wide expectation. We can ignore the noise, the chaos and the pressure to constantly consume information and know that we’re important enough to spend that time within ourselves. Speaking of the cycle of renewal and positive continuations, you’ve remarried and it’s such a blessing to be able to experience such a deep love twice. How’d you nurture your heart in order for it open up to it again? You have to sort of take time for your heart to heal. A bad thing to do that’s not helpful is to go straight into a new relationship and imagine that that one will fix the other one. I felt like by the time I was falling in love again, I got to a stage where I wasn’t comparing this new love to what I had before. When I first lost Jason, I thought. "How I am ever going to meet anyone who’s as beautiful, talented, funny and intelligent as him?" That means a lot to me that it carries on but I’m here and I’ve found myself being able to fall in love again. I don’t compare one life to another life, it’s all new. The way I’m different now is that surviving this pain has made me a different kind of person. It’s added some things to my personality that I didn’t have before. For me, it’s sort of trippy because this is someone that I’ve known since I was 18 years old. It’s weird because there’s so many levels of newness to it because we’ve been friends and worked together in music for a long time so it’s amazing that one day, you just look at someone and see them in a completely different light. I never really understood that. I’ve always [thought] love at first sight is the only thing. It’s weird how you may know someone but you really don’t know them. It’s like certain situations in life are holding people back from you and who you really are from them. Then you open your eyes and it’s like suddenly completely different. What are some of the takeaways that you want for listeners to have from The Heart Speaks In Whispers? The theme of the album is that we have lot of inner wisdom that we can tap into it. We’ve grown up with so much advertisement that says we don’t have what we need. We don’t have the right clothes, house, job—everything we’ve got is like, we need all this stuff to make us more happy. We’re receiving that message multiple times every hour and every day and I think that has a psychological effect on us. The song, “Tell Me” says, All we have, is all we need and that’s true. We have a lot of inner wisdom from our ancestors and things we’ve learned from being human. The album is about cultivating the inner life. We can ignore the noise, the chaos and the pressure to constantly consume information and know that we’re important enough to spend that time within ourselves. I love that our dreams speak to us, our bodies tell us when we’re wrong and overworked and nature is telling us the things that are happening in our lives are normal and what growth is and what change is. All of it is this idea of nature, dreams and the subconscious are all telling us our heart. The title of the album, The Heart Speaks In Whispers, is important to me. We have to make everything quiet around us so that we can actually hear what it’s saying.